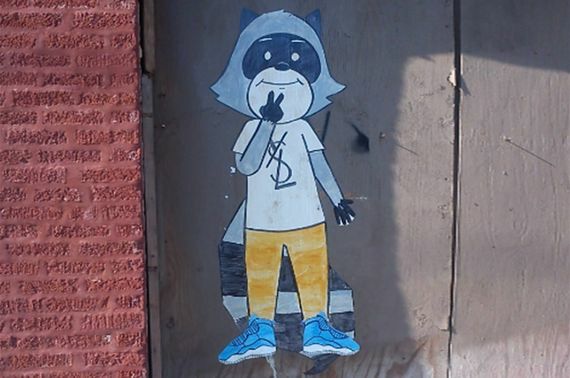 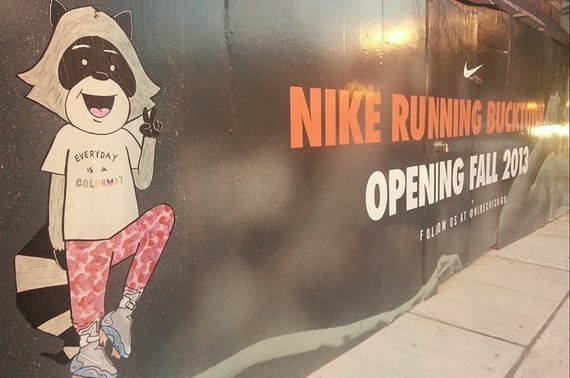 If you have found yourself strolling the streets of Chicago only to come across a Raccoon with his sneaker game proper, do not be alarmed. 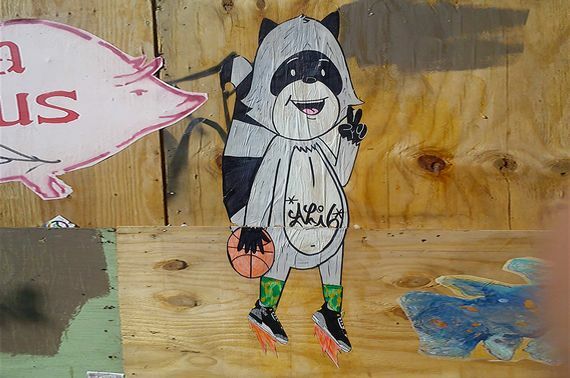 This isn’t some wild animal that got into some sneakerhead’s addict, this is Richie, a sneakerhead/raccoon with a collection of about 3,000 pairs of kicks, from New Balance to Asics to Nike to Jordan Brand, Richie’s got ’em all, along with some serious streetwear heat thanks to his buddy Ali 6. 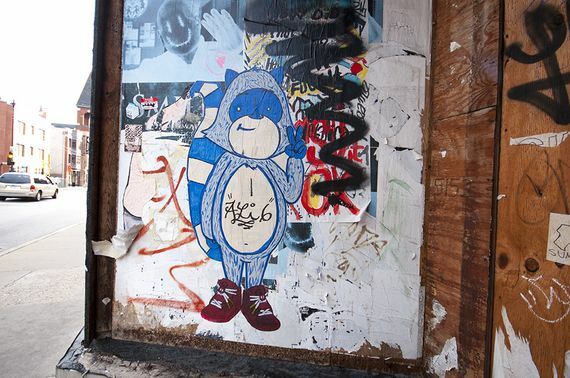 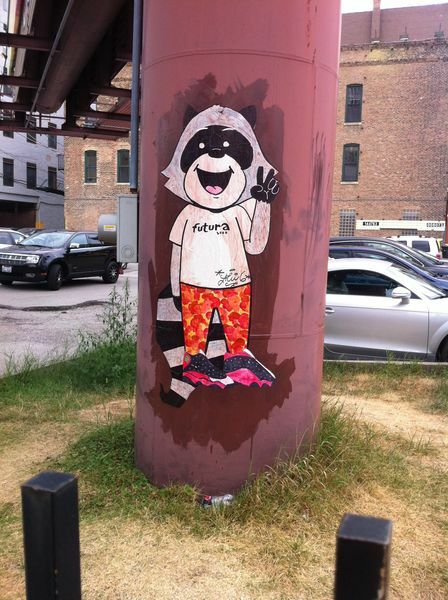 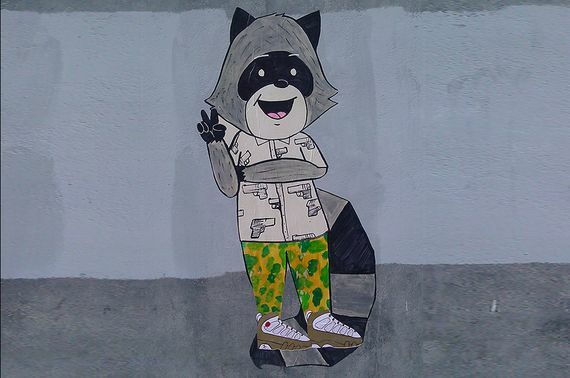 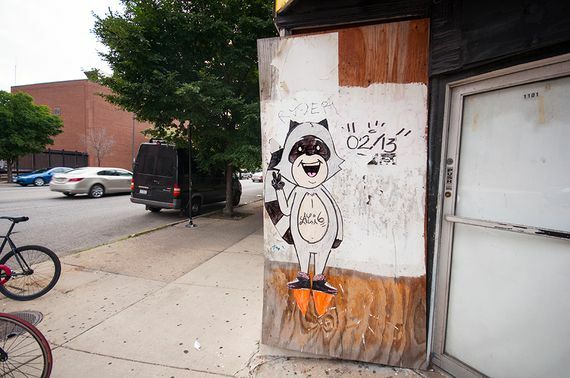 Ali 6 is a Chicago based street artist who gets a little help from his sidekick/best friend Richie the Raccoon, from watching out for the police to keeping a positive attitude, Richie is one cool cat raccoon. 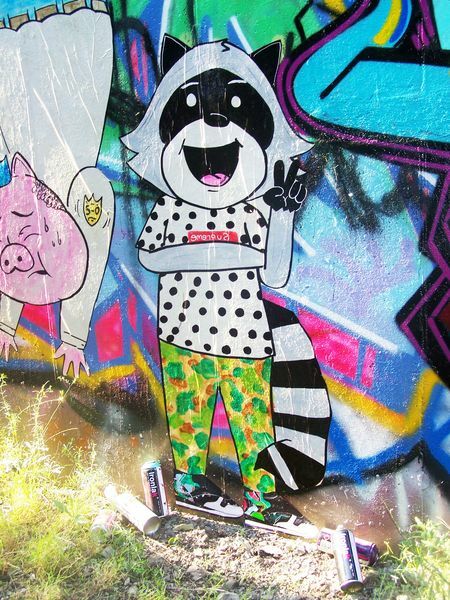 Scroll through to see Richie flaunt his collection…. 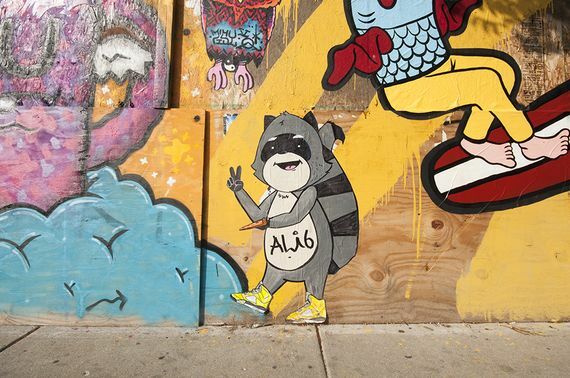 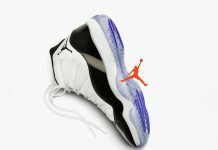 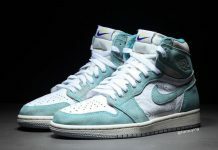 And check out Ali 6’s site for the latest on Richie and Ali’s streetwear adventures. 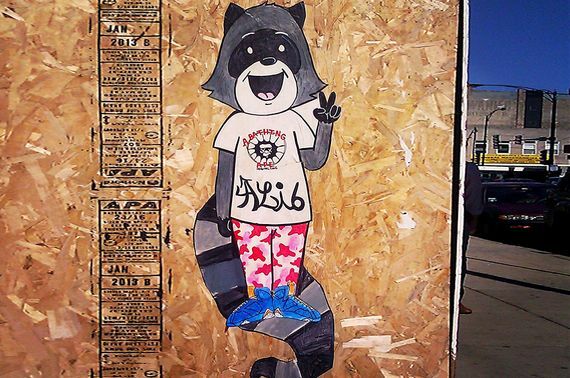 Air Jordan 7 “J2K Navyblue” and Bape Original Fake colab t-shirt… He got off for those pink camo pants. 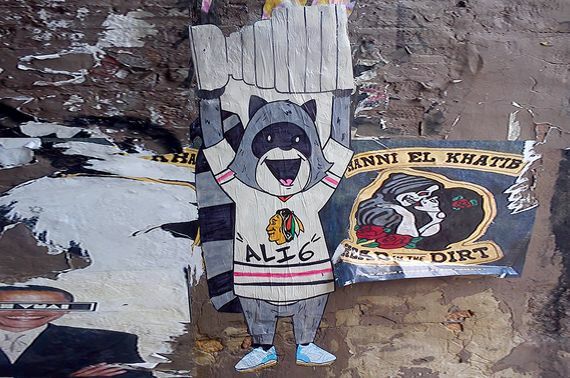 A true Chicagoan… St. Alfred x Asics Gel Lyte III’s and a Blackhawks jersey in celebration of the 2013 Stanley Cup victory. 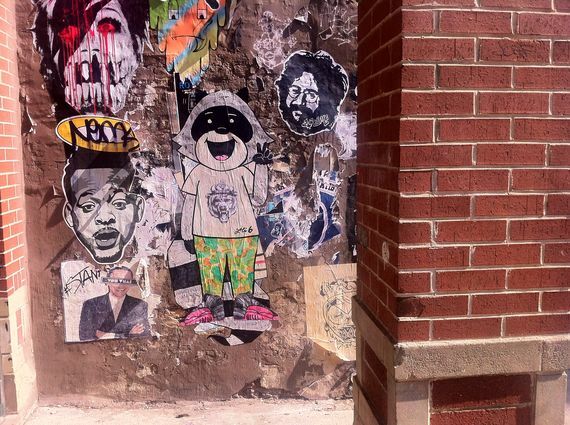 Repping Chicago once more…Reebok city series: Chicago Pose classics and Comme De Garcons Supreme colab tee. 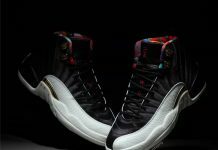 Getting exclusive… Air Jordan 11 “28 days of flight” and Mastermind Neighborhood colab t-shirt. 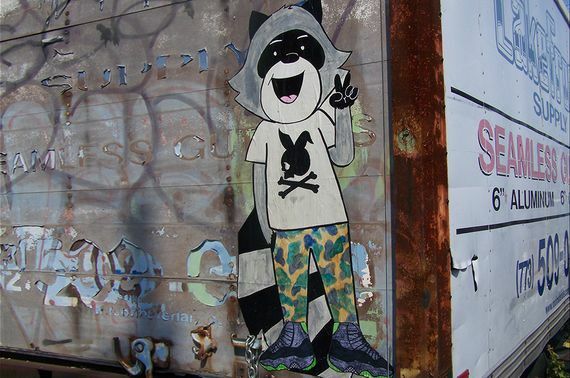 A very special look… Richie in the Air Mag’s rocking Modern Notoriety’s “EVERYDAY IS A COLORWAY” T, right on Richie! 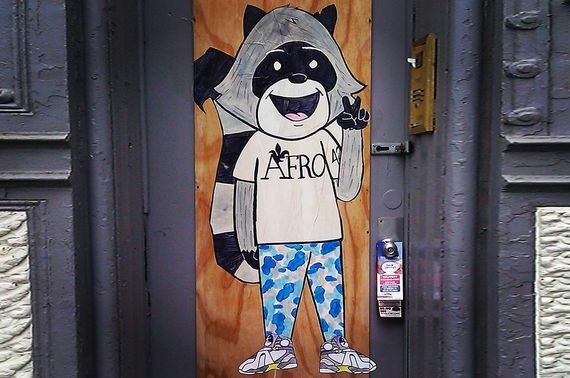 Air Jordan 8 “Kobe PE” and Saint Alfred Afro 42 t-shirt… Richie’s got some heat!